When you’re looking for care homes in Wales, costs and fees will be a key consideration. When you look for the best care homes in Wales, fees and funding will almost always be key considerations. This guide explains what you should expect when you start to research the costs of care homes in Wales. 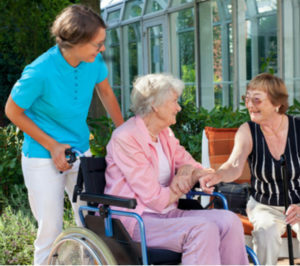 The information in this guide applies whether you are seeking a care home in northern Wales, or a care home in southern Wales. Click here if you are looking for information about the cost of care at home in Wales. If you live in Wales and are researching care homes, make sure that you first book a care needs assessment. Provided free of charge by your local authority, this assessment will help identify whether your care needs should best be supported in a care home. The care needs assessment will also help identify whether your needs require the support of specialist nurses in a nursing care home, or if your needs can be managed in a residential care home without dedicated nursing support.